About 50% of the oil produced in America in 2015 was provided by hydraulic fracturing, reported the EIA. According to a recent report from the Energy Information Administration (EIA), hydraulic fracturing, an oil and gas mining process more commonly known as fracking, accounts for approximately half of the crude oil produced in the United States. The controversial oil and gas extraction technique has been around for over six decades and involves injecting a mixture of sand, chemicals and water deep underground to breakup dense shale rock formations to tap into trapped oil and gas. The technique is also often used in combination with horizontal drilling. Hydraulic fracturing has enabled the U.S. to increase its domestic oil production faster compared to any other time in history. The EIA based its findings on the latest available data from U.S. states. From this data, it estimates that oil production from hydrofracturing is responsible for about 50% of the nation’s total crude oil production. The EIA created a profile of oil production in the United States by utilizing well completion and production data from IHS Global Insight and DrillingInfo. What the organization discovered was that in 2000, about 23,000 frack wells produced 102,000 barrels of oil per day in the U.S., which made up less than 2% of the national total. However, by 2015, the number of frack wells grew to approximately 300,000, and those wells produced over 4.3 million barrels of oil daily, which makes up roughly 50% of the country’s total oil output. Most of the new oil production from fracking has come from Texas, Montana and North Dakota. 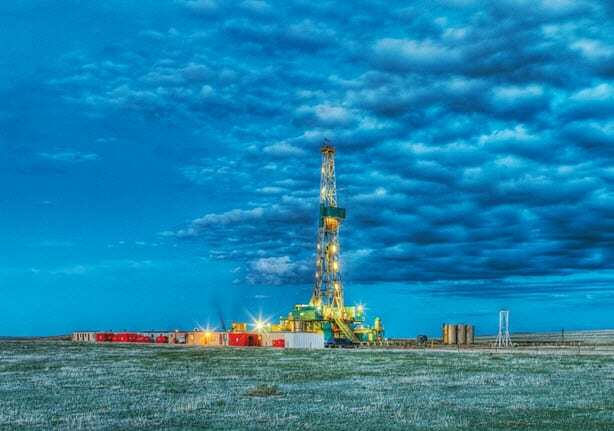 The EIA found that the majority of the new oil production has come from shale and other tight rocks in the Eagle Ford formation and Permian Basin of Texas, as well as from the Bakken and Three Forks formation of Montana and North Dakota. In addition, while shale resources and production can be found in multiple regions across the country, presently, in its Drilling Productivity Report, the EIA placed its focus on the seven top prolific areas that accounted for 92% of domestic oil production growth and all domestic natural gas production growth throughout 2011 to 2014. These seven regions include: Bakken, Eagle Ford, Haynesville, Marcellus, Niobrara, Permian, and Utica. Finally, the EIA pointed out that the use of fracking is not limited to certain oil-containing formations, like source rocks or shales. It is also not limited to horizontal wells. Hydrualic fracturing has successfully been used in tight formation, reservoir, in offshore crude oil production, in directional and vertical wells, as well as in both natural gas and oil wells.